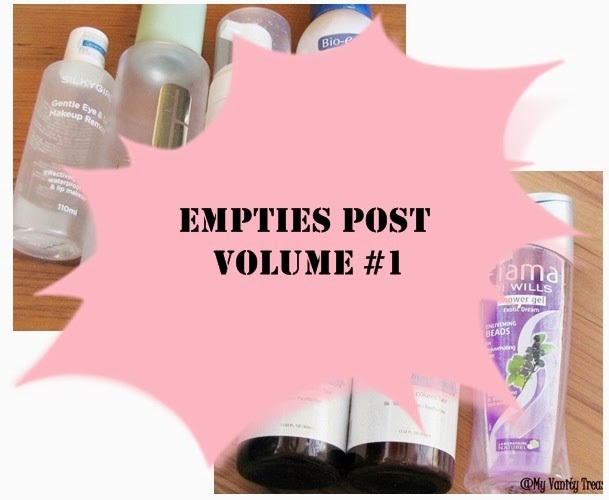 I finished a bunch of products in past couple of months so I thought to so my first ever empties post on MVT! Most of the products in this post have already been reviewed so I'll link the detailed reviews below if in case you might want to check them out! Without any further adieu lets get started! 1. Silkygirl Gentle Eye & Lip Makeup Remover:- This I picked up from KL and really liked it. It is very similar to the Maybelline Eye and Lip makeup remover and comes in similar packaging as well. Does the job well, did not sting my eyes or leave me my skin irritated as I have really dry and sensitive skin around my eyes. Overall a good product. 2. Clinique Clarifying Lotion 3:- Absolutely love this toner, works really well in keeping those nasty big pimples as bay. I have a detailed review on this product here. Check out if you like! Definitely a re-purchase material! 3. Sebamed Clear Face Cleansing Foam:- I have forgotten the number of times I have talked about this and the number of times I have recommended it! A must have if you have oily/combination skin with acne issues! Read my detailed review here. Will repurchase this forever! 5. 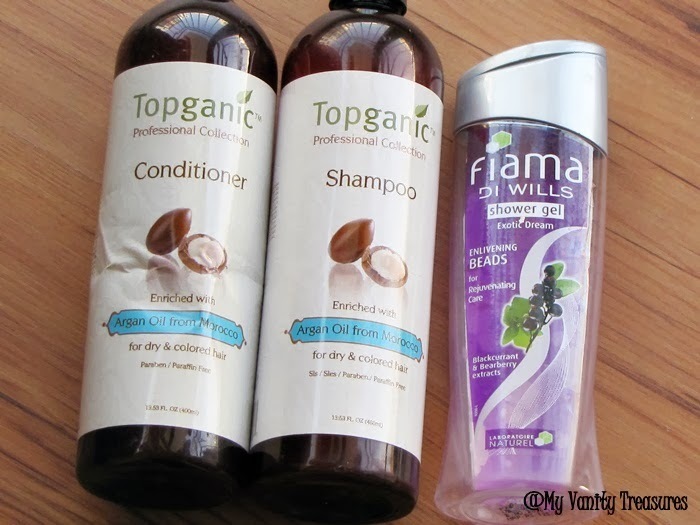 Topganic Argan Oil Shampoo & Conditioner:- Finally I finished off these...I have reviewed both in detail here. Do check out if you like natural argan oil infused shampoo and conditioners! Hope you enjoyed the post, do share if you have any favorite shower gel and sls/sles free hair care range as I would love to give them a try! Gowthami Sebamed Clear Face Cleansing Foam is a must try! I love sebamed cleansing foam. never tried this spring water from bio essence...hwz it? got ur review will check this out once my vichy one gets finished!